Our boarded floors are a little different from the any others. The look and feel is dictated by the quality of timber used and the techniques we use to fit them. We make our boards with a rolling edge to them to truly define the boards. This produces a floor that looks like no other boarded floor currently on the market. All our clients recognise this as soon as they see a floor we have laid. The floors look and feel like they are made to last, we take time to make sure they are fitted to the highest standards. 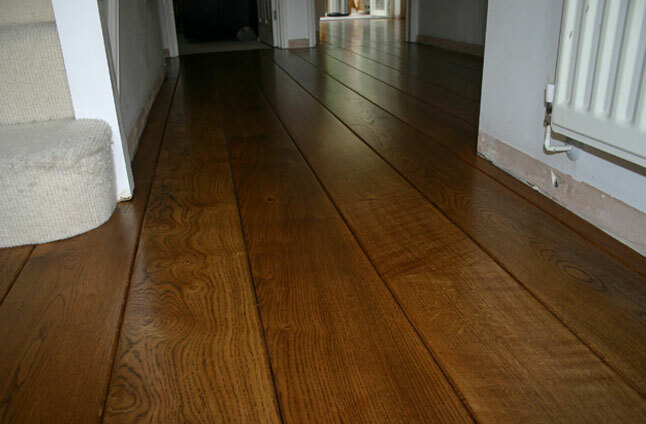 Our boarded floors are mainly fitted using French Oak but other species can be used at the client’s request.